Home Entertainment, Tourism & Lifestyle Second #SungkeyLua a huge success! Second #SungkeyLua a huge success! The second #SungkeyLua which was organized by The Collective Studio and OrgKampong was a huge success with over 1,000 people from all walks of life laying out their mat on Padang Merdeka, to break fast together. Those attending were happy to be part of the relaxed and amazing event with the many posting pictures of their day out on social media network. 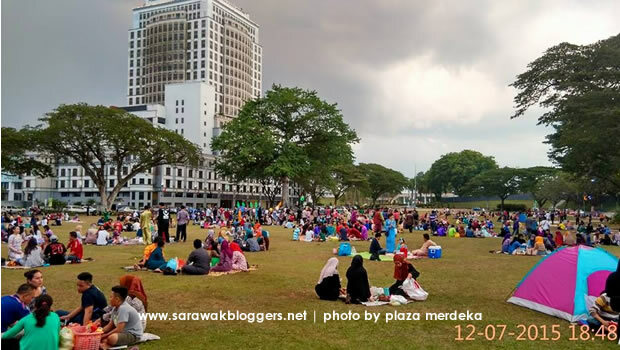 Plaza Merdeka, the mall that manages Padang Merdeka was also happy to share images of the whole event which will happen yet again next year, promised on a grander scale.